This used 2017 Ram 1500 in IDAHO FALLS, IDAHO is worth a look. Basically new, this truck is in its prime. How much does the 2017 Ram 1500 cost? $35,998 With only 39,409 miles on it, this vehicle is set to take you on many road trips. Its a v8 Delmonico Red Pearlcoat truck that helps finish the job. Interested in this truck? Visit BMW of Idaho Falls to schedule a time to test drive the 2017 Ram 1500.Get your Kelley Blue Book Instant Cash Offer for your vehicle today! It is fast and easy. The Sale Price is only available for a buyer who obtains an auto loan through our dealership. The cash price will be $1000 higher. See Sales Consultant for details. This used 2017 Ram 1500 in IDAHO FALLS, IDAHO allows you to save money on a quality vehicle. Almost brand new, this truck is the definition of contemporary design. You get all this in the 2017 Ram 1500 for $29,891. With only 31,061 miles on it, this vehicle is set to take you on many road trips. Its a v8 Granite Crystal Metallic Clearcoat truck that performs and entertains. Interested in the 2017 Ram 1500? Contact BMW of Idaho Falls and schedule a test drive.The Sale Price is only available for a buyer who obtains an auto loan through our dealership. The cash price will be $1000 higher. SeeClient Advisor for details. Get new car value at used car prices with the BMW 328i xDrive Gran Turismo in IDAHO FALLS. Almost brand new, this car is the definition of contemporary design. How much does the 2016 BMW 328i xDrive Gran Turismo cost? $28,995 It only has 18,113 miles on it and many more roads to travel. The v4 Alpine White car will feel quick and responsive. Contact BMW of Idaho Falls to learn more about the 2016 BMW 328i xDrive Gran Turismo.Get your Kelley Blue Book Instant Cash Offer for your vehicle today! It is fast and easy. The Sale Price is only available for a buyer who obtains an auto loan through our dealership. The cash price will be $1000 higher. See Sales Consultant for details. This used 2016 BMW 340i xDrive in IDAHO FALLS, IDAHO proves affordable luxury exists. Almost brand new, this car is the definition of contemporary design. Obtain this vehicle for the price of $33,895. The 2016 BMW 340i xDrive only has 20,792 miles on it and many more roads to travel. The v6 Blue car will feel quick and responsive. Drive to BMW of Idaho Falls and test drive the 2016 BMW 340i xDrive.The Sale Price is only available for a buyer who obtains an auto loan through our dealership. The cash price will be $1000 higher. SeeClient Advisor for details. This used 2015 BMW 428i xDrive in IDAHO FALLS, IDAHO proves affordable luxury exists. This car doesn't look like it has a few plus years on it. You can get the 2015 BMW 428i xDrive for $21,377. 81,734 miles has little meaning to the many years this vehicle has left on it. Its a v4 Carbon Black Metallic car that is easy on the eyes and easy to drive. Drive to BMW of Idaho Falls and test drive the 2015 BMW 428i xDrive.The Sale Price is only available for a buyer who obtains an auto loan through our dealership. The cash price will be $1000 higher. SeeClient Advisor for details. Get new car value at used car prices with the BMW 435i xDrive in IDAHO FALLS. This car doesn't look like it has a few plus years on it. Get all of this for $32,177. With only 27,896 miles on it, its still ready to explore more open roads. Its a v6 Jet Black car that gives drivers more control over the road. Want to learn more about this 2015 BMW 435i xDrive? Contact BMW of Idaho Falls.The Sale Price is only available for a buyer who obtains an auto loan through our dealership. The cash price will be $1000 higher. SeeClient Advisor for details. Drive around town in style in the used BMW 528i xDrive for a fraction of the cost. Even with a few plus years on it, this car looks like new. You get all this in the 2015 BMW 528i xDrive for $20,987. 51,884 miles means nothing to the long life of this vehicle. The v4 Jet Black car will feel quick and responsive. Interested in the 2015 BMW 528i xDrive? Contact BMW of Idaho Falls and schedule a test drive.The Sale Price is only available for a buyer who obtains an auto loan through our dealership. The cash price will be $1000 higher. SeeClient Advisor for details. Get luxury for less with the used 2016 BMW 535i xDrive in IDAHO FALLS, IDAHO. This car is only three years old! Get all of this for $35,899. The 2016 BMW 535i xDrive only has 30,429 miles on it and many more roads to travel. The v6 Dark Graphite Metallic car will feel quick and responsive. Want to learn more about this 2016 BMW 535i xDrive? Contact BMW of Idaho Falls.The Sale Price is only available for a buyer who obtains an auto loan through our dealership. The cash price will be $1000 higher. SeeClient Advisor for details. This used 2015 BMW 740Li xDrive in IDAHO FALLS, IDAHO proves affordable luxury exists. This car doesn't look like it has a few plus years on it. How much does the 2015 BMW 740Li xDrive cost? $38,987 It only has 27,311 miles on it and many more roads to travel. Its a v6 Black Sapphire Metallic car that gives drivers more control over the road. Want to learn more about this 2015 BMW 740Li xDrive? Contact BMW of Idaho Falls.The Sale Price is only available for a buyer who obtains an auto loan through our dealership. The cash price will be $1000 higher. SeeClient Advisor for details. The used 2016 Honda Accord Sedan in IDAHO FALLS, IDAHO has aged like fine wine. This car is nearly brand new. You get all this in the 2016 Honda Accord Sedan for $19,998. The 2016 Honda Accord Sedan only has 21,516 miles on it and many more roads to travel. Its a v4 White Orchid Pearl car that makes road trips pleasant again. Want to learn more about this 2016 Honda Accord Sedan? 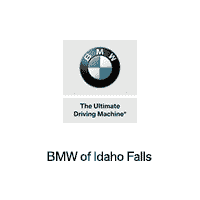 Contact BMW of Idaho Falls.Get your Kelley Blue Book Instant Cash Offer for your vehicle today! It is fast and easy.The Sale Price is only available for a buyer who obtains an auto loan through our dealership. The cash price will be $1000 higher. SeeClient Advisor for details.